Laundry is infamous for being an unending chore. Skip a few days, and you’re faced with an overwhelming mountain that seems to double in size everytime you check the laundry hamper. How’s a busy mom expected to tackle it all?! Not to mention the monotony! Sort, pre-treat, wash, dry, fold, put away, and repeat. If we set out to poll a group of moms on what their least favorite chore is, I’d guess that a HUGE majority would vote laundry. Would you cringe and bitterly reply that you hate doing the laundry? These simple hacks will transform the way you look at laundry. For ever. Let’s remove the red of laundry day and replace it with an “I can TOTALLY do this!” attitude! Use laundry products that smell amazing! 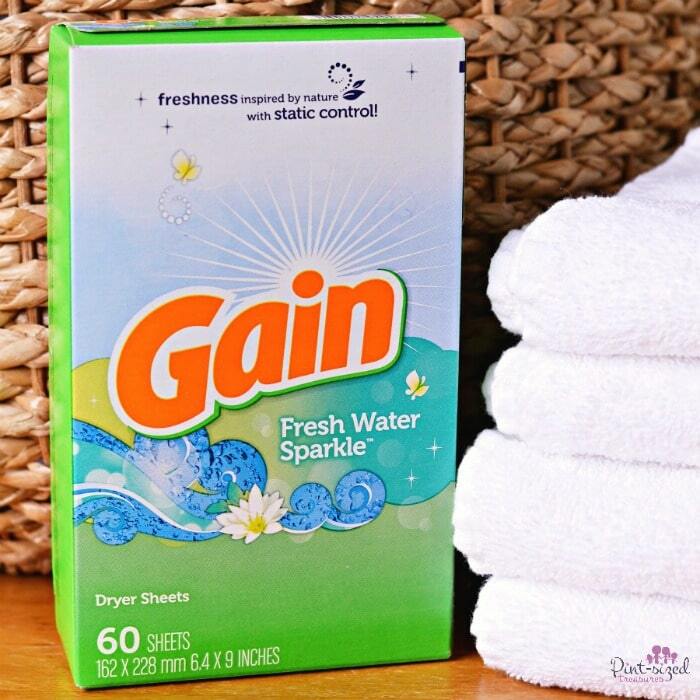 Some of our favorite laundry products are Gain’s Fresh Water Sparkle™ products which can be found at Dollar General. 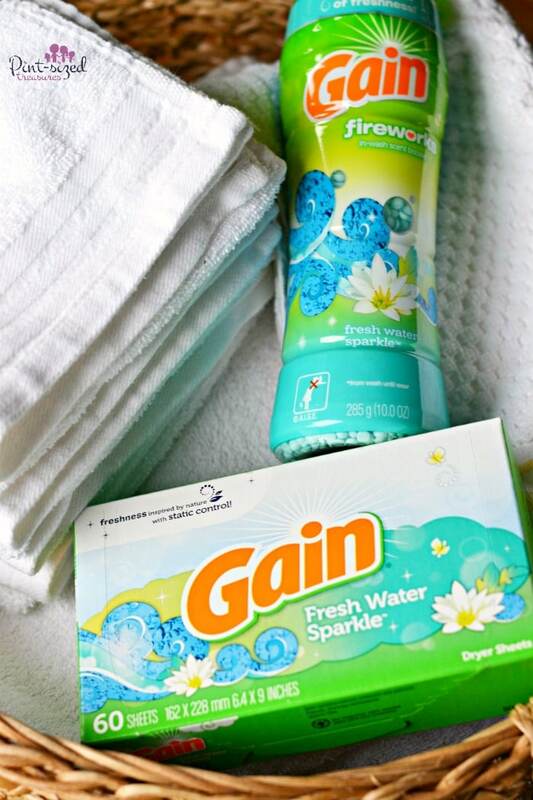 The NEW Gain Flings™ Laundry Detergent Pacs in Fresh Water Sparkle™ are packed with 50% more scent than Gain’s liquid laundry detergent. The pacs are also super convenient and easy to use. 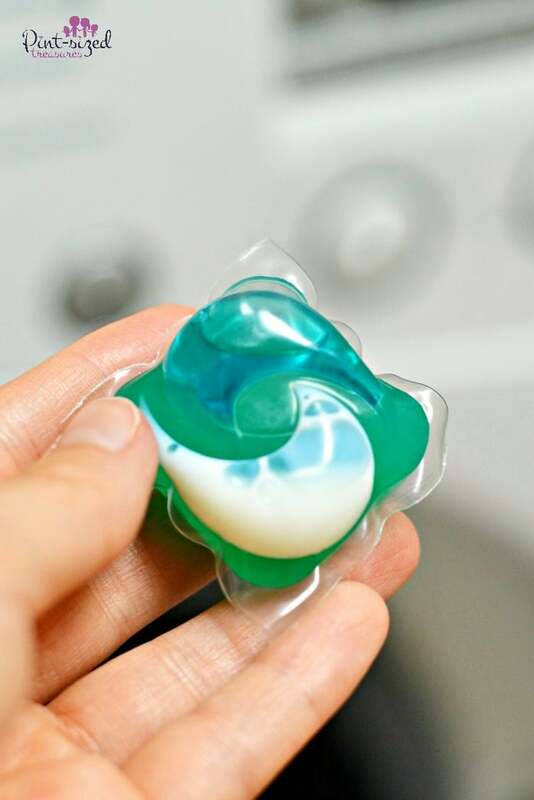 Just throw one or two directly into the drum of the machine before adding your clothes and you’ll end up with a load that’s bursting with a fresh, sparkling scent. The pacs dissolve in both hot and cold water and are HE compatible. Now, how’s that for simple? Can’t get enough of a great thing? 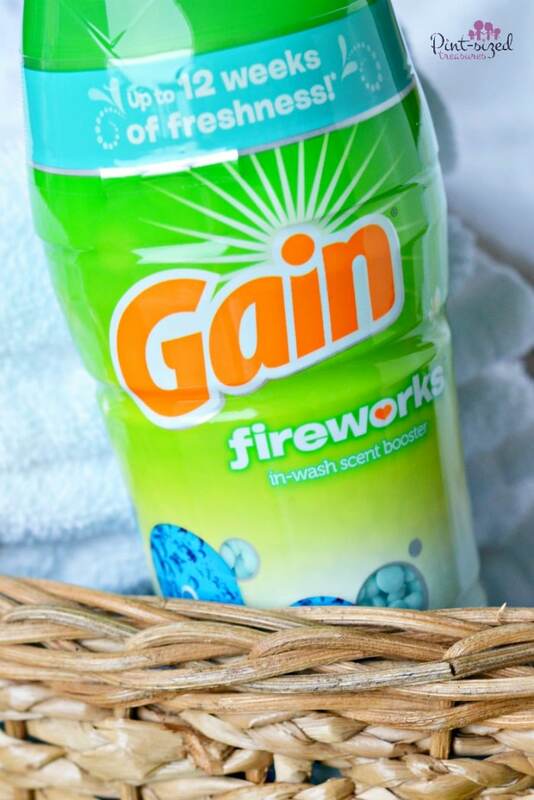 Gain Fireworks!™ In-Wash Scent Booster Beads add an extra boost of scent to your wash.
And the more beads you add, the more amazing your laundry smells! Again, we love the Fresh Water Sparkle™ scent best! Consider this as an aromatherapy session right in your own laundry room. 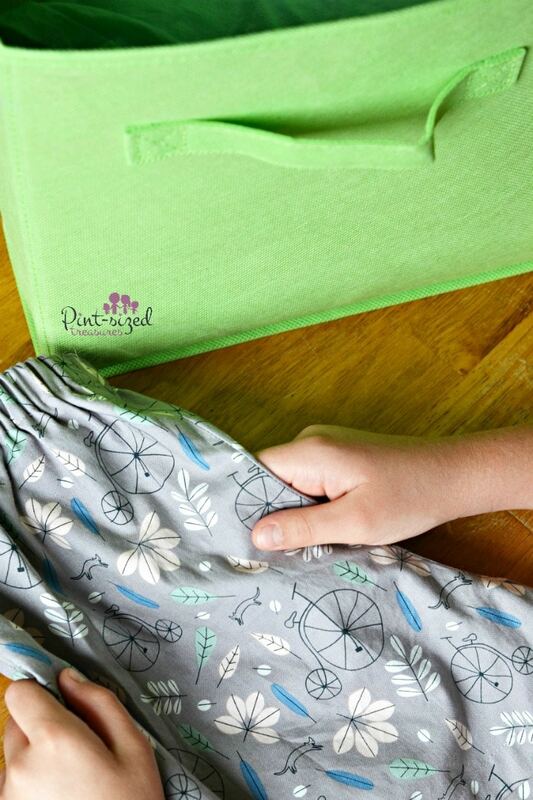 Watch your favorite movie or show while folding laundry. As a busy mom, how often do you get to watch something just for fun? And I’m not talking about that animated show that your kids like to watch. I’m referring to something just for you! Put a show of your choosing on and start folding. You won’t even feel guilty about indulging in screen-time. Put music on. Music makes everything better. Am I right? Create a music playlist to listen to while you do laundry. Keep it lively and peppy and you might get so lost in the music that you forget you’re doing an otherwise unenjoyable task. Give your family color-coded laundry baskets. Assign a colored basket to each member of your family. Make sure to pick bright, mood-boosting colors. Place folded laundry into each person’s basket and task them with putting the contents of their own basket away. Getting the whole family involved saves time — and your sanity! 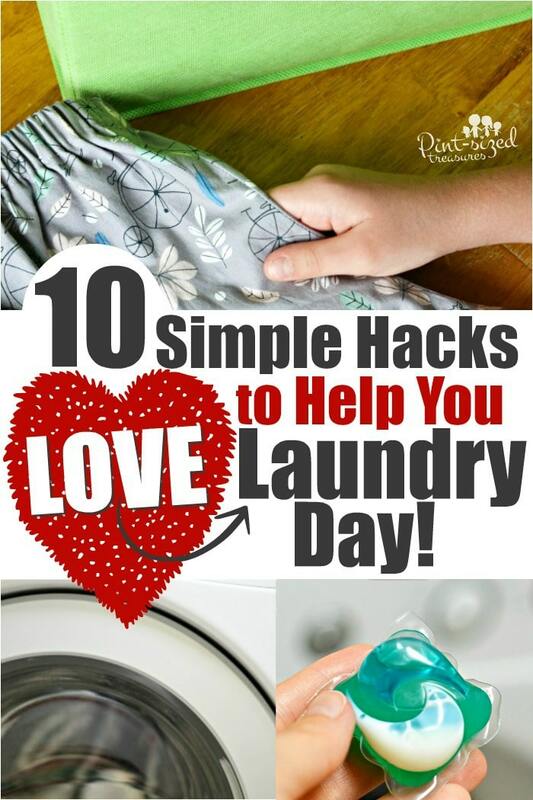 Read this post to learn more about this awesome laundry tip. You could even tackle the task by assigning a certain colored load to each day. Darks, lights, whites…could all be done on a specific day. Whatever system you choose, doing one load to completion each day makes it all much more doable and fun. Add vinegar to every wash to bring out the amazing scents of your favorite laundry detergent. Vinegar is proven to brighten, whiten, and soften clothes. It’s also effective at banishing unwanted odors. Just add 1/4 cup to each load along with your favorite detergent. This allows the pleasant aromas of your detergent to shine through. 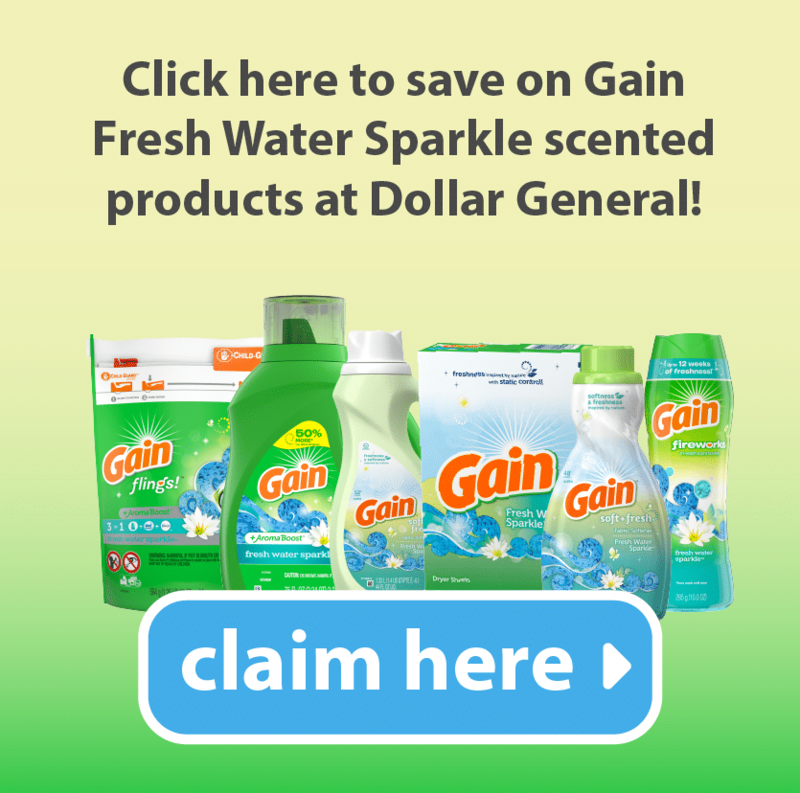 One of our favorites is Gain’s Fresh Water Sparkle™ scent. You aren’t going to believe how amazing it smells! And just FYI, that specific scent is only available at Dollar General! Turn it into a game. The kids will actually beg to help with the laundry when games are involved. Set sorting baskets out and “shoot baskets” with the laundry as the balls. You can even include prizes and small rewards. Redecorate the laundry room. How can doing the laundry be fun if you don’t even enjoy being in the laundry room? Make it a beautiful, relaxing place that you enjoy spending time in. Come up with a decorating plan that makes the laundry room your favorite room in the whole house. Set a timer. 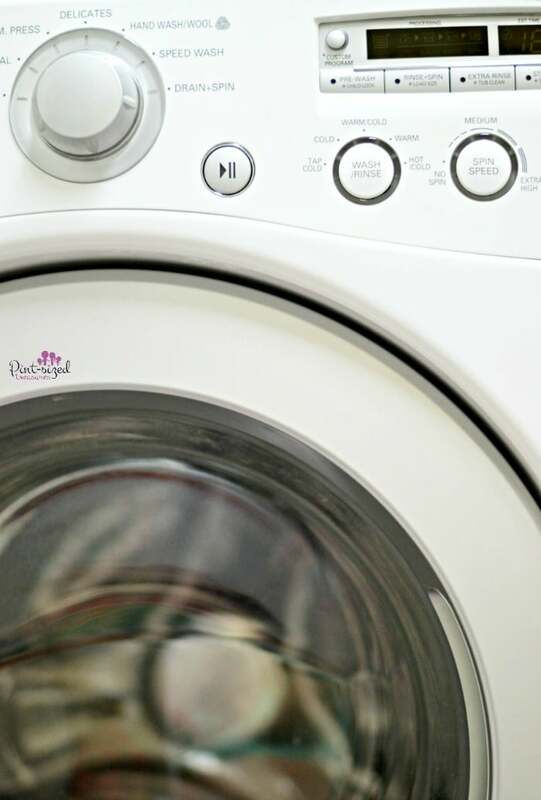 Play a game of “beat the clock” by setting a time limit on getting the laundry done. You’ll be amazed at how much more you accomplish when you’re up against the clock. And getting it done quickly will leave you even more time to do the things you really, really enjoy. Multi-task while doing laundry. 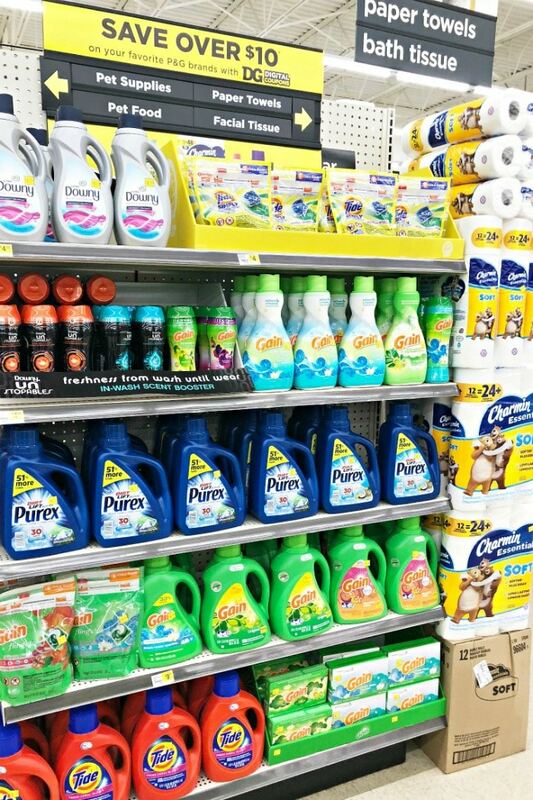 Exercise, read, make your weekly shopping list (and you can easily grab Gain products at your local Dollar General store! See where we grabbed ours below!) or do other tasks between cycles. The great thing about laundry is that there is so much time between the washing and drying of each load that you can turn your attention to other things while the washer and dryer are doing most of the work for you. How do you make tackling the laundry more enjoyable? Do you have a super effective product you love like the Gain products we love so much? Do you have a scented laundry product you adore that it makes doing the laundry relaxing and enjoyable? Hopefully, these simple tips will give you some new ideas on how to laundry a chore you look forward to doing for your family. After all, we moms should serve our families’ with joy and gladness!